A career-best performance from Ash Utri helped the Western Bulldogs to their second AFLW win from as many matches in 2019. 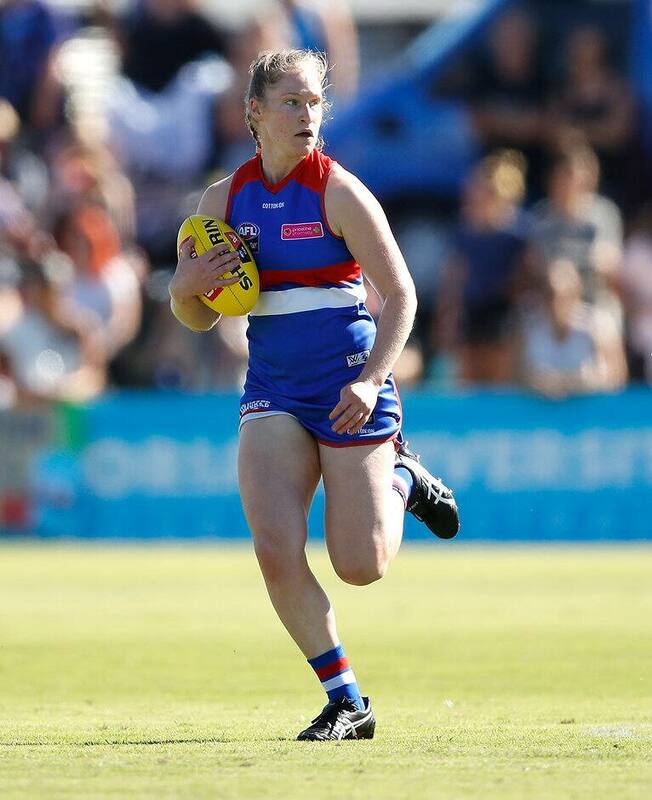 The Dogs posted an 18-point win against Geelong at VU Whitten Oval, with Utri in for high praise from coach Paul Groves, who labelled it “her best game of footy”. The 20-year-old finished with 14 disposals, six marks and a goal. “I love it out there,” Utri said post-game. “It felt like a bit more our style compared to last week where we were just getting hammered and hammered. “Geelong did the same thing, but it just felt like we stepped up a bit more this week. Utri said it was pleasing to be able to take up the challenge against a tough opponent. “We knew Geelong, a new team, they were going to throw everything at us,” she said.